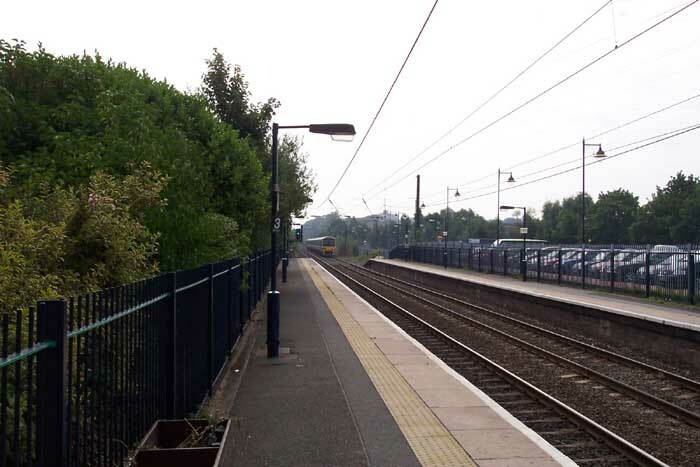 Selly Oak Station opened in 1876 on the Midland Railway's Birmingham and West Suburban Branch. 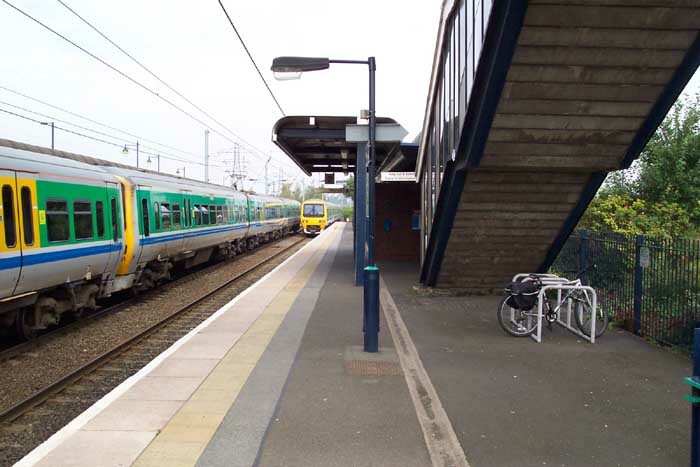 The station area has changed considerably since the Midland Railway days and lost virtually all its original features as the station was completely rebuilt during the late 1970s along with the others on this line for the flagship Cross-City route. 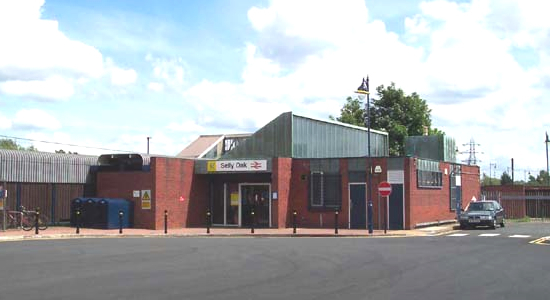 Above we see a shot of the entrance to Selly Oak station from the car park off Bristol Road. Architecturally, it has the misfortune to share its stylings with the other stations on the line built 1977/8 for the Cross-City investment. Above-left we are on the Redditch platform looking towards University station as a local working pulls-in with the service from Lichfield Trent Valley and on the northbound line another service awaits departure. Above-right we are in the same spot but this time looking towards Kings Norton and can see the newly built car park on the site of the old sidings on the extreme right of the photograph. In the view above-left we are on the Redditch platform looking back at the station towards Kings Norton. The area to the left of the iron fence on the left-hand side is a small car park and this platform also houses a small waiting shelter. 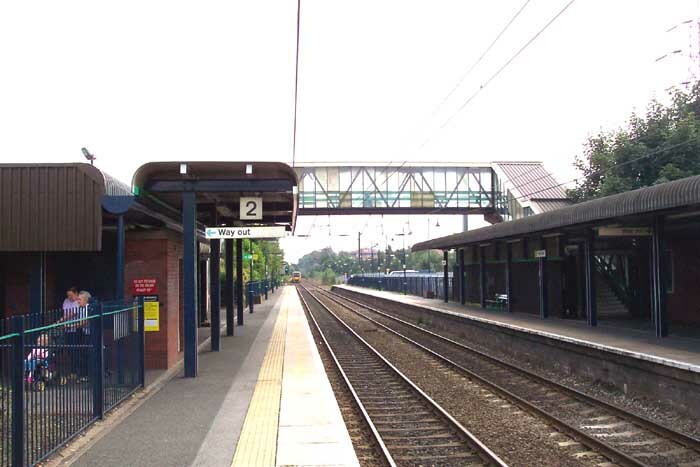 The station building and main car park are accessed via the enclosed footbridge on the northbound platform. Above-right we are standing with the station building behind us to the left and we are looking in the direction of Kings Norton. This shot shows the newly completed car parking facilities here that were only finally completed earlier this year. 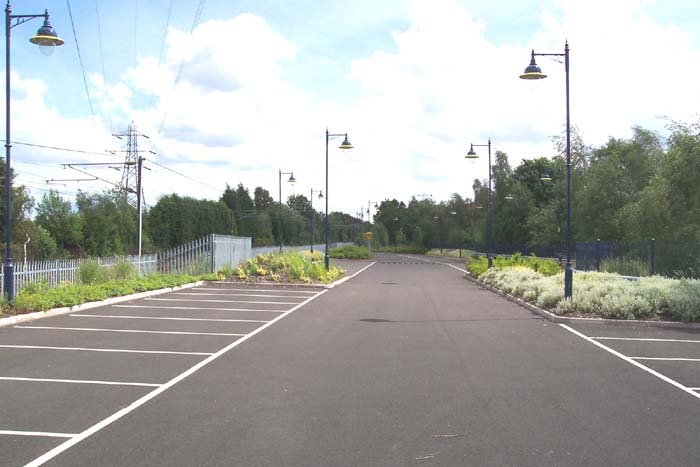 The car park occupies the area that once housed significant goods sidings that could hold c300 wagons. A large proportion of the sidings were used for the conveyance of coal and a coal merchants stood on the site until very recently. If you look at the enlarged view you can see how the shape of the car park tapers from the right to the point at which it converges with the fencing to the left ahead: this was the point at which, approaching from the other direction, the sidings fanned-out from the main line. 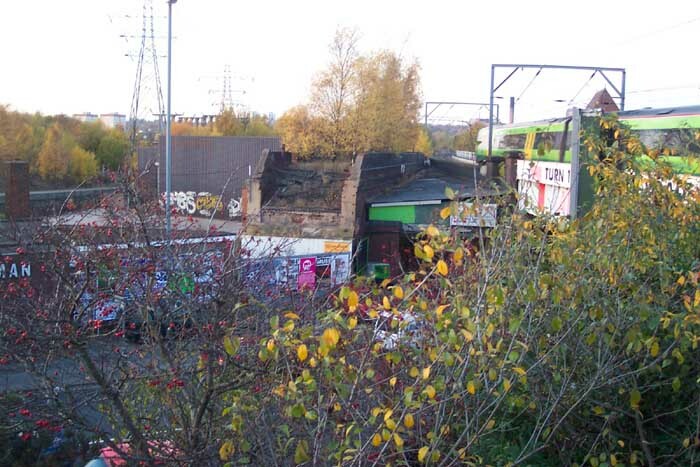 Interestingly, and for some unknown reason, part of the original bridge which carried the railway over the Bristol Road is still in situ and can be seen above-left in November 2004. If you exit the new station car park and look to your right you will see the current bridge and just before it, on the other side of the road, part of the brick-arched bridge that was its predecessor, the arches of which now house a timber merchant. I think this is a really interesting piece of railway history as it indicates that the line of the railway into Selly Oak was at a different angle to the present day and also serves to remind us, due to its narrowness, that the Birmingham & West Suburban Railway was originally single-tracked. 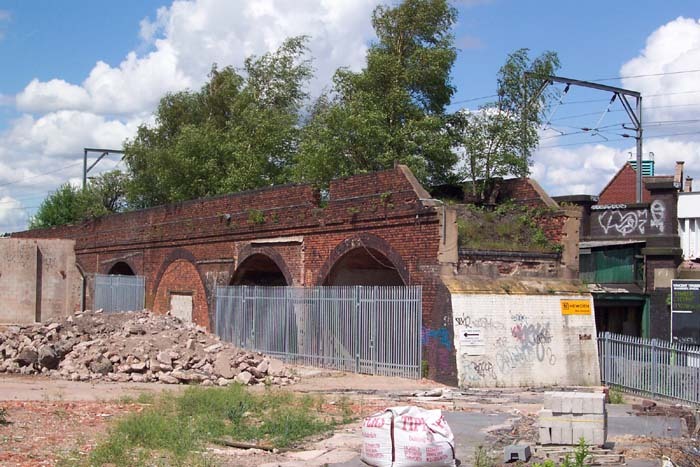 Fortunately, clearance of the site next to the railway viaduct in March/May 2003 has revealed more of the structure so I have revisited the site since this page was originally created in 2003 and taken the photograph above-right that gives interesting detail of the brickwork and arches. I felt it important to document this small part of railway history as I am not certain what is going to be developed in the area cleared next to it - or even if the structure is to be demolished - that could render the arches invisible once more.